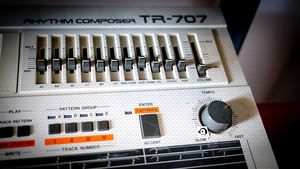 KitMonsters – Roland TR-707. The music makers’ guide to making music. 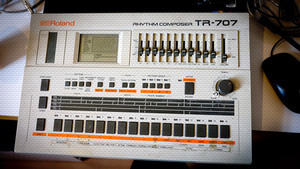 Similar to the TR-909, this drum machine is packed with classic drum tones. As used by the likes of Aphex Twin and Squarepusher, this allows you to program complex beats including flams and shuffles. With the matrix display, you can clearly see your drum pattern, and the unit can be controlled by both MIDI and DIN sync. 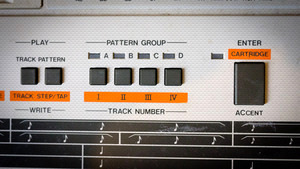 Whilst you can’t adjust each individual drum tone (other than volume), this is great for sampling and can add a real analog retro drum machine vibe to your music.